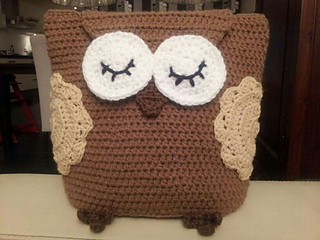 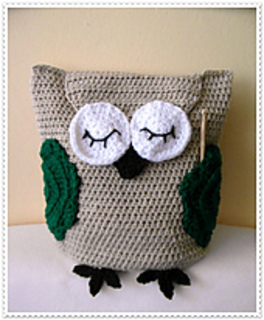 This cute owl will be happy to guard any of your projects and she’ll even hold the hook for you! 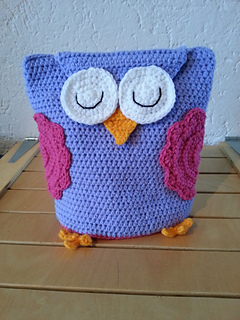 Finished bag is about 9.5” (24cm) high and 7.5” (19cm) wide. 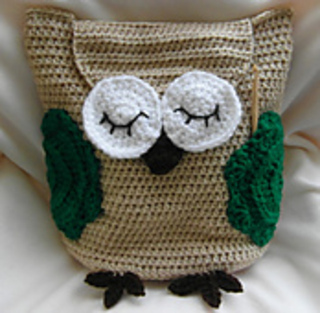 You can make it bigger or smaller by choosing different yarn weight.